NEW DELHI – The collection of direct taxes in India has risen once again, with the collection of every direct tax growing compared to last year. 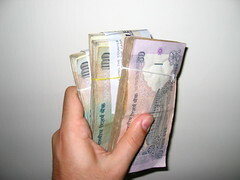 In a statement issued on November 6th the Finance Ministry of India announced that over the first seven months of the current financial year, between April and October, the total collection of direct taxes reached INR 3.37 trillion, approximately 11.58 percent higher than during the same period in the previous year. Over the seven months, the total collected from corporate income tax rose by 8.23 percent, reaching INR 2.1 trillion, and the collection of personal income taxes accounted for INR 1.25 trillion, up by 1.89 percent compared to the same time period last year. Collection of the Securities Transaction tax is also up by 5.67 percent, totaling INR 26.45 billion. The government currently estimates that the total collections for the full year will reach INR 6.68 trillion, a sum that would require growth of 19 percent compared to last year. The rate of collections is expected to rise further during the year, as collections during the first half of the year have traditionally been more sluggish than in the latter half.